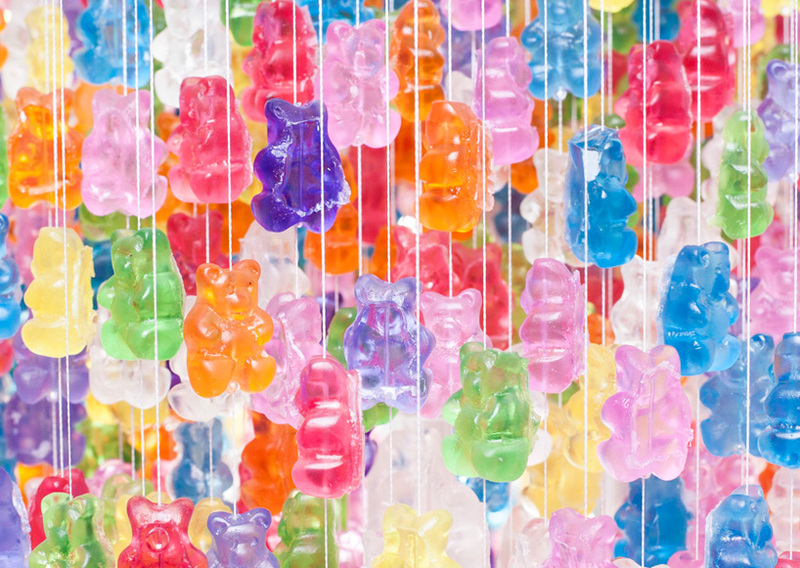 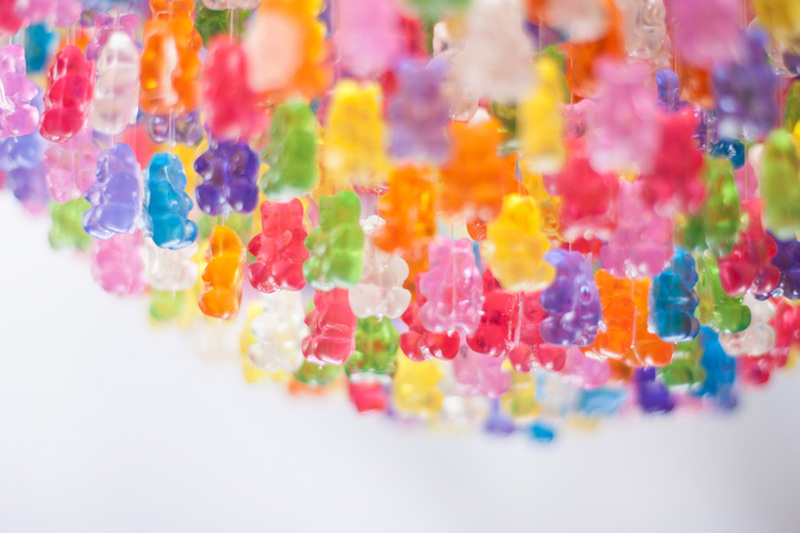 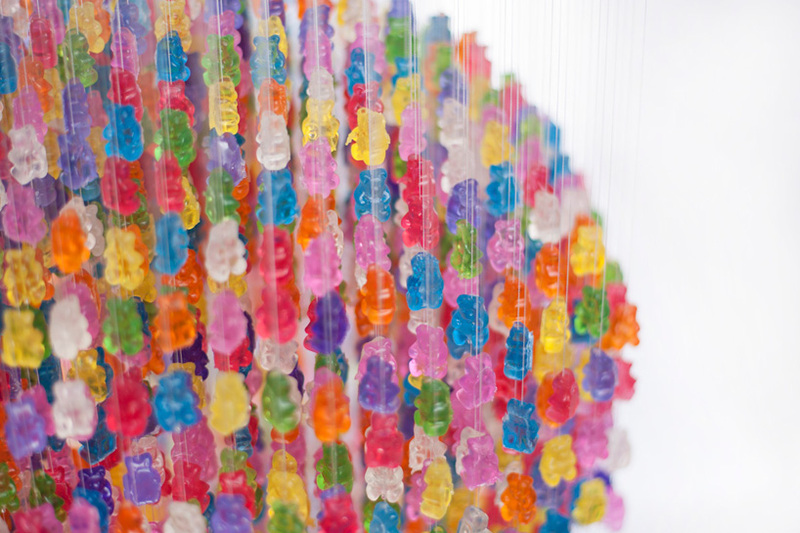 3,000 Gummy Bears’ Chandelier, Yummy! 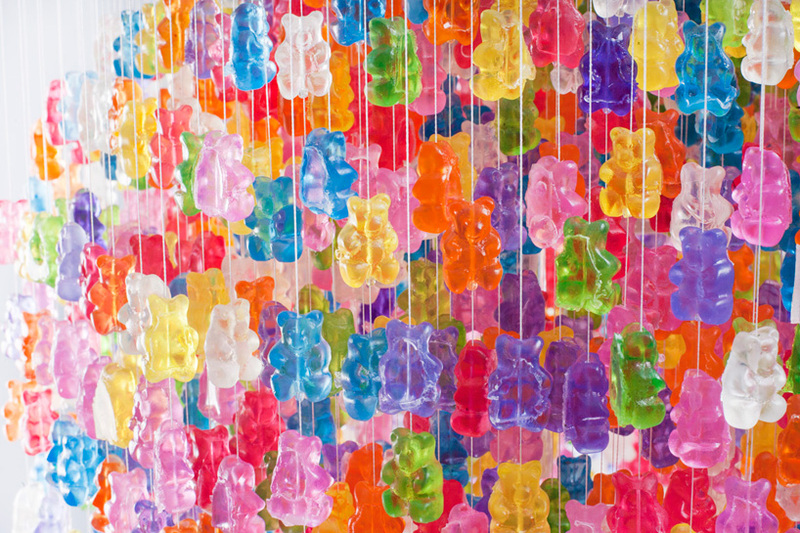 Although it’s 3,000 hand cast, fake, acrylic bears, the Candelier by NY artist, Kevin Champeny still looks tasty! 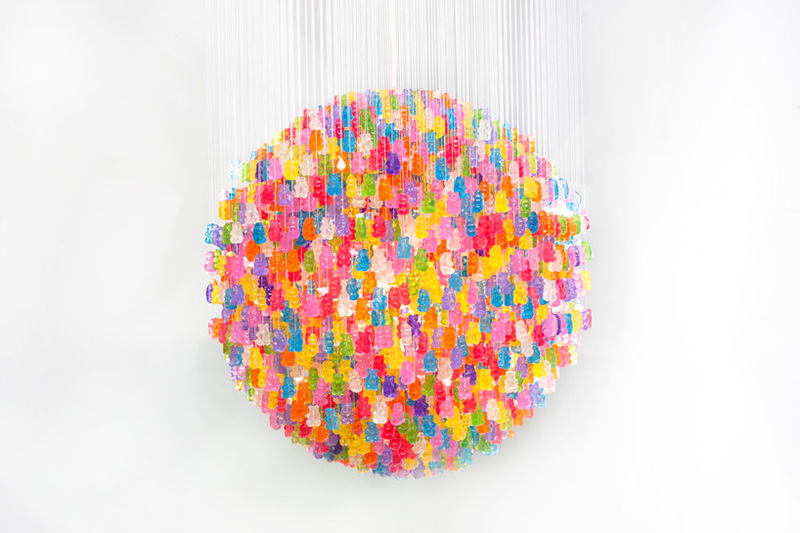 The polychromatic light spans an 18 inch diameter, filling a space with a saccharine glow. 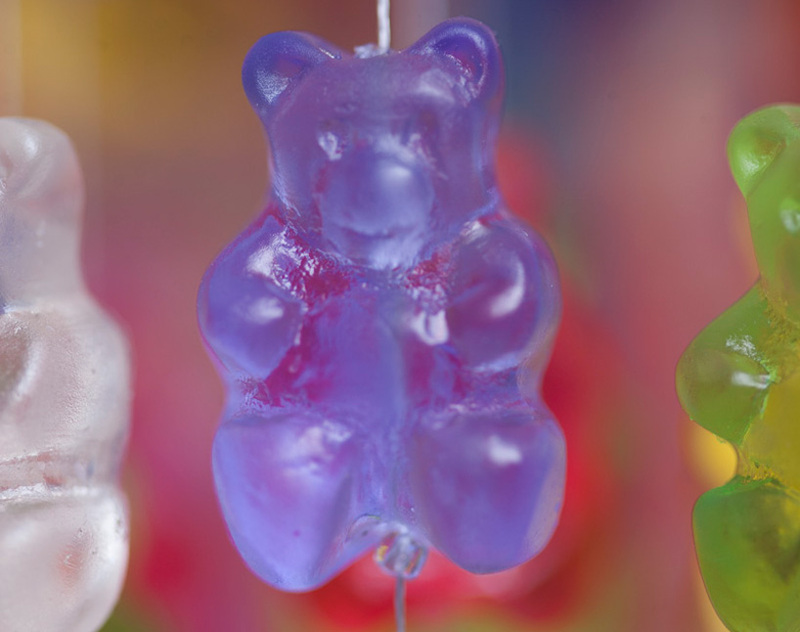 the designs are hand-made by Champeny for american company jellio.